Giveaway! 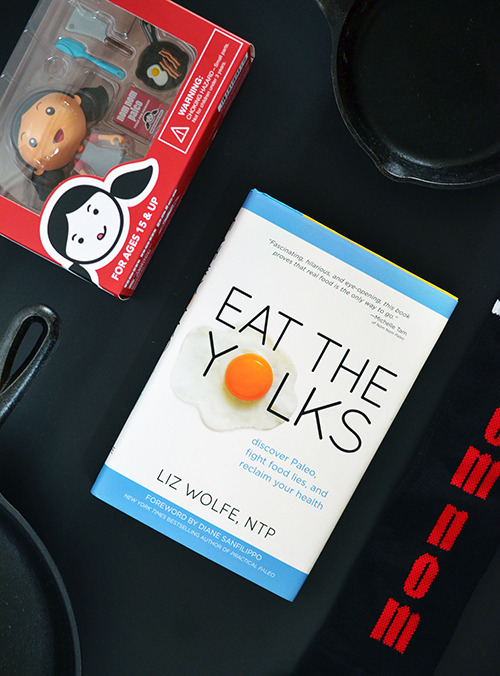 Signed Copy of Eat The Yolks, Lodge Cast Iron Skillets, & Nom Nom Paleo Swag! My pal Liz Wolfe is one of the coolest people on the planet. It’s easy to feel inadequate around her; after all, she’s the brainy beauty behind one of my favorite blogs, Real Food Liz (née Cave Girl Eats), co-host of the ultra-popular Balanced Bites podcast, loving wife to the equally awesome Spence, and a homesteader who raises chickens, guineas, and goats. What can’t she do? Liz is the complete package: whip-smart, outrageously witty, naturally gorgeous, and pee-your-pants funny. Best of all, she’s one of the most sincerely kind and generous people I know. Liz’s passion for real food comes across on every page. With humor and style, she pokes holes in conventional wisdom about health and nutrition, tackling all the questions that all Paleo eaters are asked by curious friends and family: Why are whole grains not so wholesome? Won’t eating meat make your arteries explode? 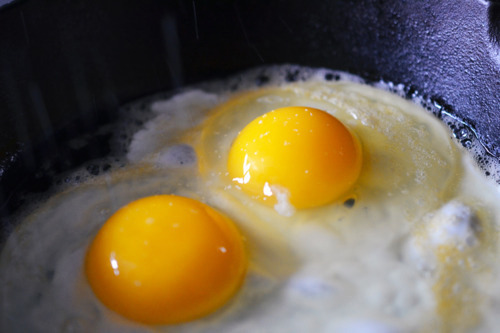 Aren’t egg yolks bad for you? Liz is a quiet revolutionary who’s able to change minds with her charmingly-presented, well-reasoned arguments. This book’ll convince you that everything “bad” for you is actually great for you (and vice versa!). Seriously: grab a copy of this book now. It’s that good. 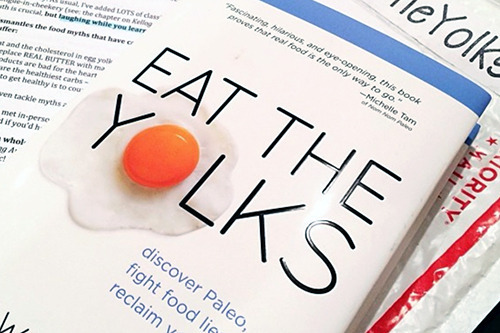 A signed copy of Eat The Yolks! A limited edition Nom Nom Paleo action figure! A pair of Nom Nom Paleo knee-high socks! …and then click the button below (or hit this link) to enter! Hurry! This giveaway is a quickie and not a longie – enter NOW! Lost? Looking for recipes? Head on over to my Recipe Index. You’ll also find exclusive recipes on my iPad® app, and in my New York Times bestselling cookbook, Nom Nom Paleo: Food for Humans (Andrews McMeel 2013).